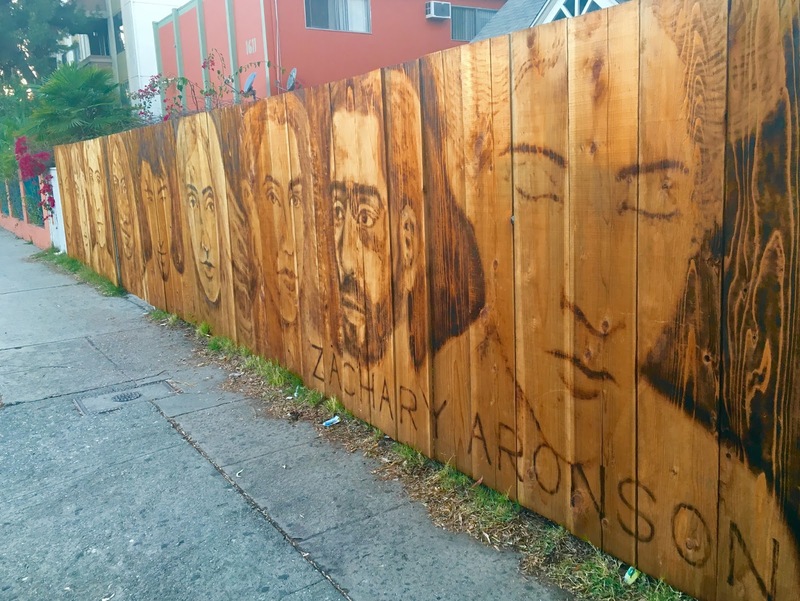 I was cruising down Venice Boulevard the other day when a long stretch of portraits on a fence caught my eye. They looked to be done with wood burning, and when I got home I looked up the name of the artist, Zachary Aronson. Aronson is a "Pyrographer", meaning he makes his art with fire. It reminds me of my beloved Dylan piece done in wood stain by Justin Herber, so of course I dig it. It appears that Aronson shows his art all over the place, so we can all feel lucky that we get to see art even while sitting in traffic. I love the natural materials and tactile appearance of these works, and wish Zachary Aronson the best. Thanks for sprucing up the streets!